While Manchester City may have set the Premier League record for the most goals scored in a single season, they don’t have a deadly attacking partnership to rival mid-table Leicester. 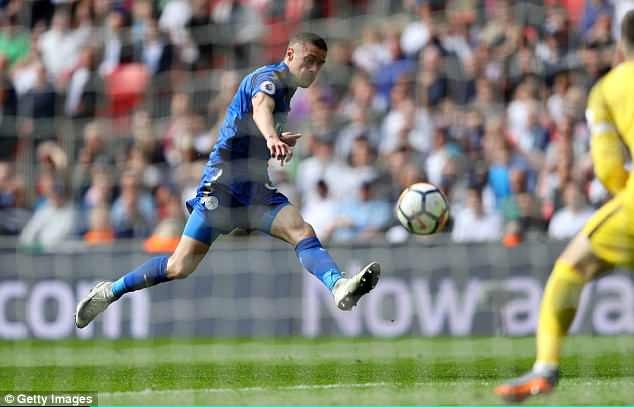 The Foxes scored seven goals in the 2017-18 campaign via winger Riyad Mahrez setting up striker Jamie Vardy to score. No other goal-scoring combination was more common in the Premier League season than a Mahrez assist and a Vardy finish. 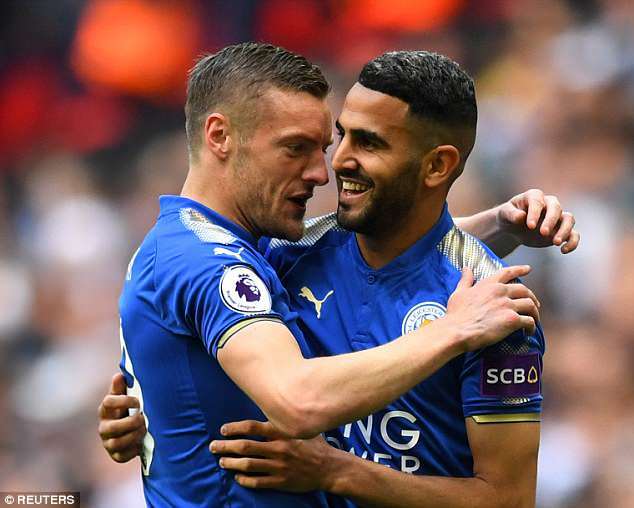 The combination began in the very first game of the season when Mahrez set up Vardy to make it 3-2 to Leicester against Arsenal in August – although the Gunners came back to win 4-3. 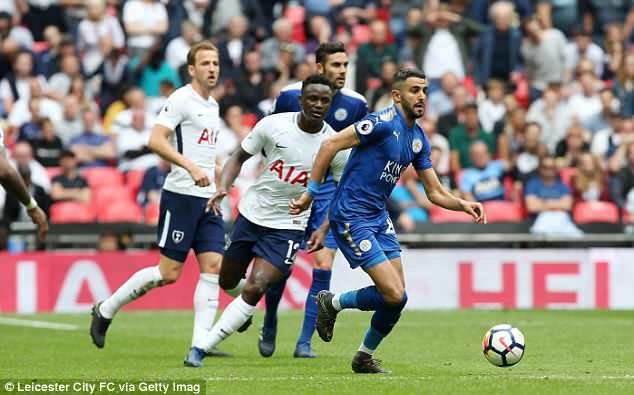 The last came on the final day in Leicester’s extraordinary 5-4 defeat at Wembley against Tottenham Hotspur – Mahrez slipping in Vardy from a breakaway for the England international to fire past Hugo Lloris to make it 4-4. 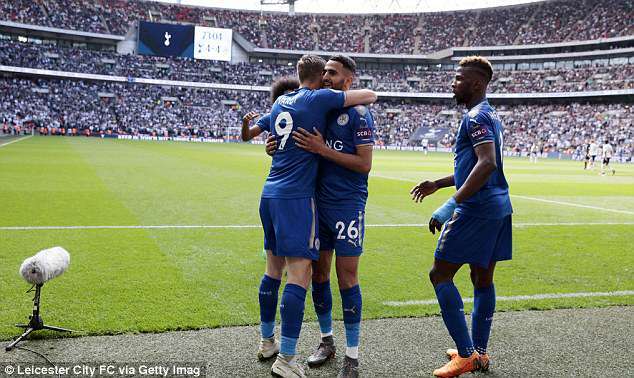 Unfortunately for Leicester it may not be a partnership that returns next season, with Mahrez heavily linked with a move away from the King Power Stadium. Other impressive Premier League partnerships include Cesar Azpilicueta and Alvaro Morata, the Chelsea defender’s deep crosses setting up his fellow Spaniard on six occasions. Morata even returned the favour for Azpilicueta once, providing the assist for the defender’s scrambled opener against West Ham in April. The top scorer in the Premier League in 2017-18 was Liverpool’s Mo Salah, who became the first player in a 38-game season to score 32 goals. Of the 32, Salah was assisted more than anyone by Sadio Mane, on six occasions as he fired Liverpool into the top four again. The most mutually beneficial scoring partnership meanwhile came between Salah and another Liverpool team-mate, Roberto Firmino. They combined for seven league goals in 2017-18 – four from Salah to Firmino, and three assisted by the Brazilian for the Egyptian to bag.